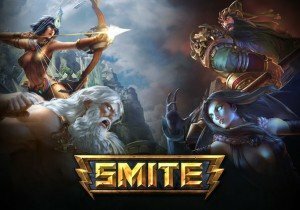 Have you visited SMITE’s official website lately? You may have noticed something odd. Hirez has placed a not so subtle acorn over their site skin bar, just tempting you to click on it. Try and it hides off screen, only to return to tease you once more once you’ve given up. Look at the site code and you’ll discover this object is being described as ‘not an acorn.’ What could it all mean?